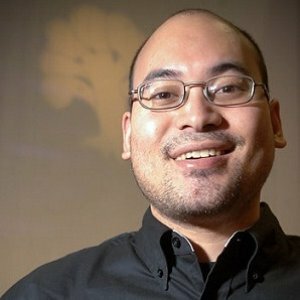 L2 Kentaro Guthrie of the Canada region received recognitions for areas ranging from holding a discussion for L1s and L2s to his team communication skills at GP Kyoto. 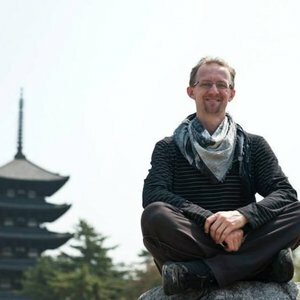 “At the end of one of my shifts at Grand Prix Las Vegas 2017, a judge grabbed me and said that they needed a Japanese translator. I got to a table where an English-speaking player was struggling to communicate with their Japanese opponent. To further complicate things, the Japanese player’s deck was entirely in Japanese, and his opponent was unfamiliar with most of the cards in the deck. L2 Guy Baldwin of the United Kingdom, Ireland, South Africa region received recognitions for areas ranging from his work on Kickstart teams to giving a judge a morale boost at GP Lyons. 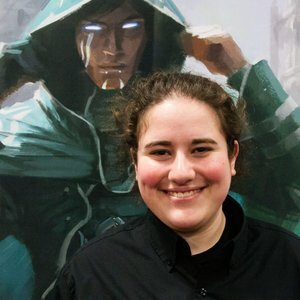 “I always start my GP Side Events with a speech about Regular REL and that the focus is on fun. 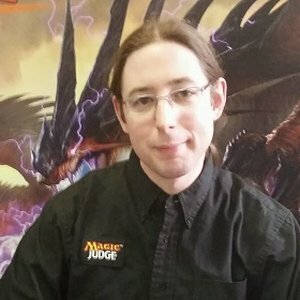 So halfway through round 2, a judge call happens, and the player’s first words are “Judge, I’m not having any fun.” He is sat across from a Blue/White control deck, and has had many things countered. The judge call was completely in the spirit of the event. Another occasion, I get a frantic looking Head Judge coming over to me, saying the player he is with has lost an expensive Modern deck, and is distraught. I go to everywhere I can think of to find the box with the player, lost property, the original area, players who were around but it is nowhere to be seen. I’m about to apologise, but I do a final sweep of where the tournament started (It had been moved 3 rows, so finding the start point wasn’t the easiest.) As I’m scanning beneath tables, I see a spot where it looks a bit darker. I go closer, and find a dark green deck box, containing the missing deck. The player, utterly relieved and feeling some release, hugs me on the GP floor, almost in tears. L2 Yuval Tzur of the Europe-East region received recognitions in areas ranging from his reviews of JudgeApps test content to a workshop on tournament logistics. 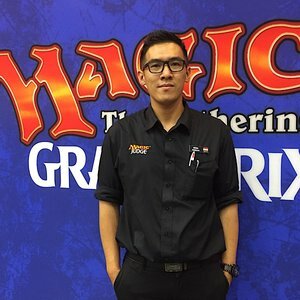 “The first judge call that comes to mind happened to me at GP London 2018. I’m from Israel, so I judge mostly in Europe, where we encounter a lot of players from different countries who speak different languages. My native tongue is Hebrew and I’m fluent in English. Because I used to live in Mexico, I’m also a Spanish speaker, so I asked for a Mexican name tag in addition to my Israeli one, and ever since I got it, I got used to enjoy players asking me with excitement if they can speak to me in Spanish. 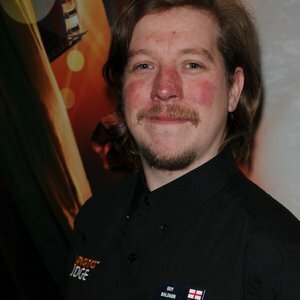 GP London’s format was Sealed Deck, and during deck construction a kid (roughly 13 or 14 years old) calls for a judge. I get to the table and ask how can I help. The kid turns around, sees my name tags, and, out of the blue, asks me “Do you speak Hebrew?” in Hebrew. That really caught me by surprise, as Hebrew is not such a common language, and he asked it as if it’s an ordinary thing to ask. I know most Israeli players, but his family moved to London from Jerusalem, so he doesn’t usually play in Israel. L2 Wendra Kamadjaja of the Southeast Asia region received recognitions for areas ranging from his mentorship skills to bringing innovation to quarterly judge meetings. 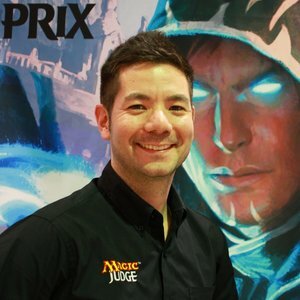 “I think I will give the most recent judge call during last Singapore Nationals. So AP told me he was assigning as attackers Pegasus Courser, one flying 2/2 creature and a Knight token 2/2 with vigilance. Then he pointed to Pegasus Courser and the Knight token without saying anything. After that, NAP said block?… He had three Saprolings then he moved his token into AP’s Knight token, but AP stopped him then said no, this one has flying. The NAP believed the AP player missed the Pegasus Courser trigger. Then AP explained to me he already did that 3 times in row before and now his opponent only have 5 life. Then I asked NAP “Is that right?” The NAP said “Yes, but he announced it before.” Then after I heard both explanations and I also look into the life pad, I decided AP didn’t miss Pegasus Courser’s triggered ability, then explained to both players the AP showed that he acknowledged PC trigger when it becomes relevant and it happens when pretend you as defending player to block this Knight because this Knight already had flying. After that NAP appealed to the Head judge. After hearing an explanation from me, the HJ then investigated both players. The HJ decided to uphold my ruling. Then they finished that match with AP swinging his lethal damage for game 3. L3 Anniek van der Peijl of the BeNeLux region received recognitions for areas ranging from sorting through a life discrepancy to hiding chocolate eggs in the judge area during Easter. “I’m a big rules nerd, but I know not everyone wants to hear the minutiae of why card X and card Y interact a specific way. So I love when players are actually invested in figuring them out too. Whenever a judge call at the table involves some funky interactions I do make a point of explaining the ‘why’ behind the answer. And occasionally players come up to me with a scenario they encountered during playtesting or some obscure interaction (invariably involving Humility) that they want my take on. I love showing them how the rules have a system to deal with those situations. L3 Federico Donner of the Hispanic America-South region received recognitions for areas ranging from his problem-solving at GP Santiago to coordinating judge conferences. 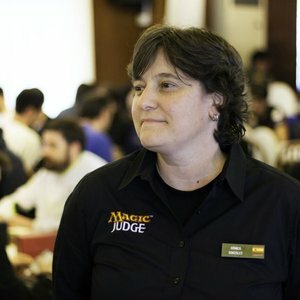 “Answering questions and giving rulings is only a small part of what judges do during events but most players don’t really know it. There are a few things that I like to do to interact with players in a more relaxed way and break the distance some of them feel towards judges. These are some of them. When I find a piece of paper in the floor I pìck it up and before throwing it out I try to make eye contact with any player around me. When we lock eyes, I gesture like I’m going to free throw the piece of paper into a trashcan that’s far away. I try it and usually miss and the player laughs. It’s silly, but it shows them that we’re also here to have fun and that we’re not only out to penalize them. There’s always the typical joke of offering to play against players that are waiting for their tardy opponent. The secret is to say it with a serious expression, like it’s something that can actually be done. Sometimes it takes them a second to figure out you’re joking and it generates a great bonding moment. Then you have to make the obligatory joke about judges being bad players and it being an easy matchup for them. Finally, this is something I liked doing at events but I was told to cut it out because some players didn’t enjoy it. Do it at your own discretion (or better don’t, but I’ll tell the story anyways). 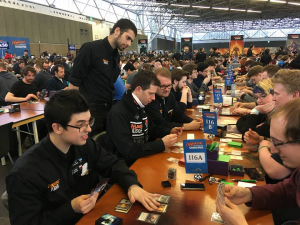 When I was about to fire a draft for side events, I would pick up the packs and stand in one end of the table. I give three packs each to the players right next to me. I kinda have to toss them to the players next to them. By this time, the other four players understood that they are out of reach so I’ll have to throw the packs at them. Of course I wouldn’t do it hard, it was a fun little game to alliviate tension and remind everyone that this is just a game. Also it makes them pay more attention to the instructions afterwards. L2 Alexander Papageorgiou of the Europe-East region received recognitions for areas ranging from his contributions to the Prague judge conference to his actions as the country coordinator for Greece. 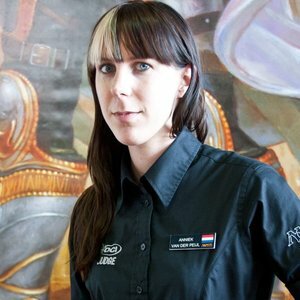 “When my phone died, during GP Copenhagen 2015, I delivered a few Oracle rulings by heart to some wide-eyed players (I was really, really into Modern at the time). L3 Eliana Rabinowitz of the USA-Southwest region received recognitions for her effortson an investigations workshop. “I was once leading ODEs at a GP and saw a judge having a difficult time on a ruling for a while. I walked over to the Commander pod and the judge walked away to handle something else. I asked the players what was wrong, and they told me it was a “doozy,” and I told them to explain what happened. Apparently Player A controlled a Clever Impersonator that had copied a Sakashima the Impostor that had copied a Vorinclex, Voice of Hunger. Then Player B cast Darksteel Mutation targeting one of Player D’s permanents, but Player C’s Perplexing Chimera took control of the Darksteel Mutation and changed the target to the Clever Sakashima, Voice of Hunger. It resolved. Then Player A’s permanents phased out, and Player C died. The question was what happens to the Darksteel Mutation that is phased out and that Player C controls and Player B owns. Of course, most of that story didn’t matter to the ruling, but I still had a good laugh at that one. L1 Raquel Monleon of the Iberia region received recognitions for areas ranging from writing articles for the Iberia Blog to serving as a team lead for the Arcanis weekend. 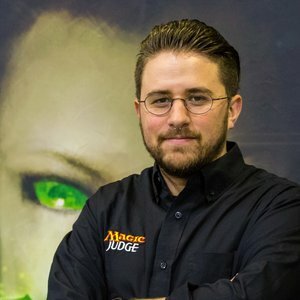 “For me, as a judge, the moment I most enjoy interacting with the players is the first contact, when I am teaching them to play by explaining the types of cards, the basic rules and mechanics… It’s an amazing moment because they are usually excited about their brand new welcome deck and the card that accredits them as new members of the community. And it’s also a challenge: the new player must feel welcome in the community, we don’t want them to lose their enthusiasm and expectations about the game, in the learning process. That’s a very important task we have as community service judges. L3 Carlos Ho of the Hispanic America-North region received recognitions for areas ranging from helping a burgundy judge know areas for improvement to preparing for GP Santiago. 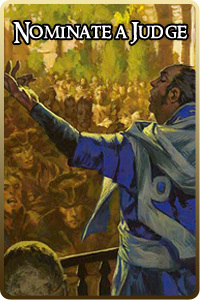 “One of my favorite interactions happened at a Bazaar of Moxen tournament in Annecy back in 2011. 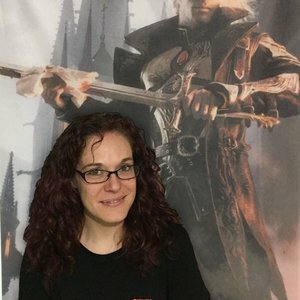 It was a large gathering of Eternal players from all over Europe, and there were some Spanish players who at some point asked me some questions. I honestly don’t remember what my interaction with this particular player was about, but a long time afterwards, he came at another event to tell me that after that event, he had decided he also wanted to become a judge, which he did. Enrique Revuelta became a L1, then a L2, and in the process, a pillar of the Spanish judge community, being involved in many projects in the country, and he also became a very close friend of mine. It makes me smile to think that our short interaction at BoM 5 contributed in some way to bring a solid judge into our ranks, and such a generous friend into my life. 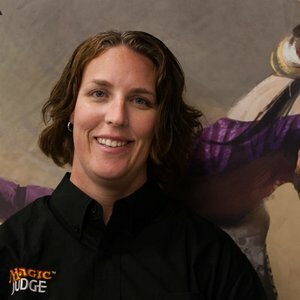 L2 Erin Leonard of the USA-South region received recognitions for areas ranging from her leadership and proactiveness at GP Dallas-Fort Worth to her contributions during a Planar Bridge meeting at GP Seattle. “As she walked up to me I vaguely recognized her, but couldn’t place her exactly. She said, “I just want to thank you for helping me find a team at that GP.” Ahh, my memory jogged, she was the player whose teammates had missed their flight and she almost didn’t get to play in a team GP. There had been another player who was there without a team as well, we’ll call him Rick (not his real name). Rick had pestered me all day about finding a team, but as the registration lead there was really not much I could do. When she showed up that afternoon, I had introduced the two of them. They had been able to find a third and compete in the event. Later that weekend she had dropped by registration to thank me and tell me that they had almost made day 2. I felt a sense of satisfaction at being able to unite two players and turn their disappointment into a fun weekend. L2 Klaus Lassacher of the German-Speaking Countries region received recognitions for areas ranging from his work on the Cross Border Communication project and his organization of a judge conference in Prague. I also always like it when I can give players the ahhhhh-moment when they had a problem or when I do a ruling where all the players that are involved understand the reasons behind it and why it is fixed that way. There are many situations where I need to pay attention that I am not just pouring out the infraction and penalty without taking care that they also understand the reasons behind it and it is always great when I can deliver it the right way where the feel fully fair treated and learned something with it. Especially with rulings that involve a Game Loss and sleeves changes and where no appeal happened even when I extra told them they can if they want to. L2 Jacob Milicic of the USA-North region received recognitions for areas ranging from a presentation on the Anatomy of a Judge Call to his skill at giving and actively seeking feedback. There are two that immediately spring to mind. 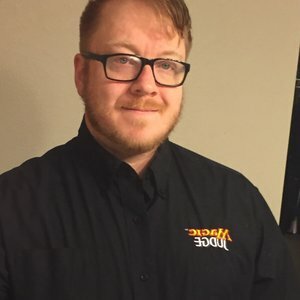 The first happened at an Unstable release event at I’m Board Games. I was one of many judges staffed for the event, making it so we could all play and have a good time while also sharing the load of dealing with the chaos. At one point, a player calls us over and I’m on the call, having finished my match already. The call was “Judge, I have a Skull Saucer in play and my opponent is about to throw a Slaying Mantis,” to which I responded, “Oh sure! Let me put my hands in front of your face so the Mantis doesn’t hit you when they throw it.” It was easily the most fun call of the event. 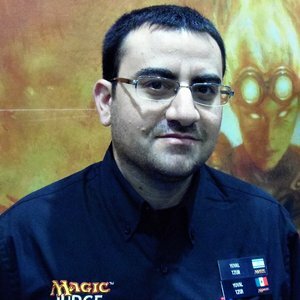 The second was from GP Las Vegas 2017. It was a scheduled side event with big prizes, but I don’t remember the format at this point. There was a situation where a player sat down, played an entire match, then realized when they went to sign their match slip that they were at the wrong table. What had happened was they were at the seat adjacent to the seat where they were supposed to be, and the player who was supposed to be playing at his table had not shown up. Their last names were similar and the table numbers were printed right next to each other on the pairings. This adjacent match got a no show win, but this player had won the match they sat for. The Head Judge ruled that this player had played the wrong match, the no show for the adjacent table stood, and the other player who did not show up also resulted in a no-show win for this player’s opponent. Meaning they were losing the match for the round that they won. This was the penultimate round, and this result made the difference between the player being able to intentionally draw into very solid prizes and having to fight it out to get something reasonable. I feel in many cases this story would’ve ended with a feel bad experience for the player in question. In this case, I remembered seeing that the player who was supposed to play the match our friend here had played had dropped last round. I took the match slip from their table myself. In my mind, if this player had been correctly dropped we would not be in this situation, as there would’ve been another player showing up to the table, providing a safety net for this failure case. It bothered me that we would effectively punish this player for something that was partially on us. I took them to the side events stage, confirmed with the scorekeeper that the player who was supposed to be at the match our friend played had indicated their desire to drop last round, and talked with CFB staff to see what we could do for them. I made sure to stay with this player, helping to explain the situation, until a satisfactory resolution was reached. L3 Riccardo Tessitori of the Italy and Malta region received recognitions for areas ranging from helping judges explain rulings to players to creating a more efficient process for GP reports. 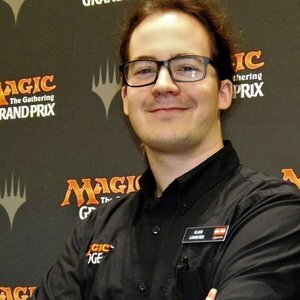 It was a dark and raining night in Brussels, and Dragons were flying above the city, while a Pro Tour was taking place. Yes, I am referring to the ruling on camera with Patrick Chapin, which I still consider a very good example of giving a not favorable ruling to a player who expressed very well reasoned arguments, maybe a ruling that was broadcasted too long on camera even after the ruling was final, but a ruling that many judges were happy to see and send me several messages about. One of the probably unexpected consequences of that ruling was the policy change regarding Hidden Card Error, that now has a fix instead of a game loss, a change that I consider very appropriate. One of the side events of a Magic event in Los Angeles, a long time ago, was a Duel Masters Junior Champinship; I was assisting this tournament where I believe every participant was under 12 years old, and I heard a player calling a judge. Since I was the closest judge in the area, I went. The player who called described the situation, and ended with a question. Imagine a young Riccardo listening to a 10 year old Californian boy… I had *no idea* about anything he said. Like a guardian angel, the player next to him… I believe he was 8 years old, maximum… said “I know it, I know it” and gave the answer with confidence… again, I had *no idea* about anything he said. I smiled, I looked at the first player, and I asked something like “Good?”; he smiled, he said “Yes, and they continued playing. L2 Matthew Westfox of the USA-North region received recognitions for areas ranging from pushing for social events for judges to a presentation on disabilities. L2 Monica Gonzalez of the Iberia region received recognitions for areas ranging from making a guide for L1s to her upbeat attitude at GP Madrid. “One of my favorite judge calls happened at an Old School tournament. One player called for a judge and when I arrived to the table, I saw a complex game with a lot of old cards I didn’t even recognize. My first thought was, “Oh, my God, don’t ask me anything about these cards, please, please” But, actually, they asked me about one of those. The player wanted to activate his Chaos Orb and he didn’t know how to do it correctly. Neither did I, so I decided to look at the Oracle text (I’ve never read the Oracle of this card before) and I think this is the weirdest Oracle I’ve ever read. So, we read carefully the Oracle text in order to follow the instructions. But, first of all, we had to look for the conversion from feet to meters (As you already know, in Spain we use metric system). So when I raised my head to ask for this conversion, at this very moment, I realized that all of the people in the venue were looking at us. Everyone wanted to see the result of the launch of the Chaos Orb. The player became so nervous that the Orb only touched one card, one of his cards. 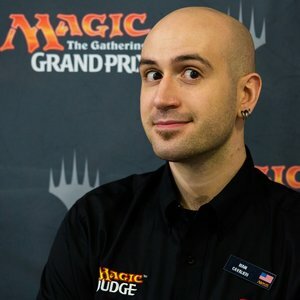 L2 Mani Cavalieri of the USA-Northeast region received recognitions for areas ranging from providing actionable feedback to a judge at GP Columbus to his growth as a Stage lead at GP Phoenix. At a Two-Headed Giant side event, I saw a tense match with a father and his young son facing off against a pair of experienced players. In extra turns, the young son played a savage combat trick to win the match. The losing team was really graceful and friendly about it, so after they got up, I went over to thank them for being such great sports, especially in the presence of a much younger player. As I’m doing so, the father comes up to me, and says he wants to thank me. “What for?” It turns out that he and his son recognized me from other events they went to, and wanted to show their appreciation for the efforts of me and my fellow judges to keep these events fun for everyone. It was a really touching and unexpected “Why we do this” moment. That’s all for this round! Be on the lookout for Part 2 of this feature in a few weeks. And as always, if there is a judge who is also doing something exemplary, please nominate a judge TODAY! I personally met Guy while at GP Orlando. He presented himself amazingly, he was great to talk with as a player and fellow judge. A friend of mine can sometimes be a bit outspoken talked with him and he handled Christopher very well. That is not something just anyone can do, hats off to you my friend I hope our paths cross again in the future.